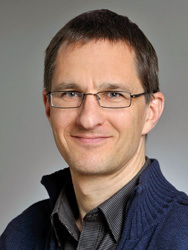 We are proud to announce the second keynote speaker at the 2017 Student Council Symposium will be Dr. Johannes Söding from the Max Planck Institute for Biophysical Chemistry. More information about the keynotes biographies and talks can be found on the keynotes page. We are happy to welcome Repositive as sponsor for the Student Council Symposium 2017. We are happy to welcome Earlham Institute as sponsor for the Student Council Symposium 2017.